Wednesday, January 9 at 6:30 p.m. Embrace a peaceful state of mind as our certified Relax and Renew® trainer Anita Bailey leads you in breathing and meditation techniques. 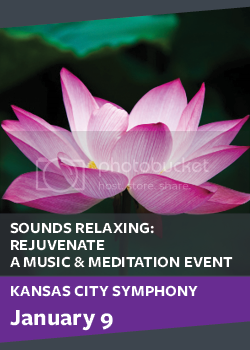 Symphony musicians will perform gentle and tranquil music to assist in your relaxation. Tickets are $15, including all fees. Purchase tickets here.